Dr. Tony Zeiss, president of Central Piedmont Community College (CPCC) for 23 years, announced today his plans to retire at the end of July 2016. In December 1992, Zeiss became the third president of CPCC, one of the largest community colleges in the Carolinas, serving approximately 70,000 individuals per year. During his historic tenure, the college has grown from one campus to six and is highly regarded as a national leader in workforce development. Under Zeiss’ leadership, the college’s annual operating budget has grown from $46.7 million to $202.4 million. During Zeiss’ presidency, Mecklenburg County voters approved multiple bond referendums to build new facilities at the college and expand its footprint across the county. The most recent referendum, approved in 2013 by more than 72 percent of the voters, brought $210 million to the college. The college’s facilities space has grown from 1.4 million square feet in 1993 to 3.36 million square feet today. Since Zeiss came to the college in 1992, the CPCC Foundation has raised $122.1 million. The foundation completed its most recent campaign in 2013, which raised $63.8 million, perhaps a U.S. community college fundraising campaign record. The college celebrated its 50th anniversary in 2013. Ralph A. Pitts, who joined the CPCC Board of Trustees in 1998 and served as chairman from 2004 to 2014, will lead the search committee tasked with finding a successor to Zeiss, Dalrymple added. Zeiss holds a doctorate in community college administration from Nova University, a master’s degree in speech (radio and television), and a bachelor’s degree in speech education from Indiana State University. He has authored or co-authored numerous books on economic development, adult literacy, national workforce development and the U.S Civil War. His most recent publications include four books on creating high performance employees, a book on community college leadership, a tribute to John Montgomery Belk, and a novel on the American Revolutionary War. Zeiss is a professional speaker and a frequent keynoter for companies and colleges on recruiting, developing and retaining peak performers at the workplace, and on fundraising. He regularly consults on workforce development and resource development. 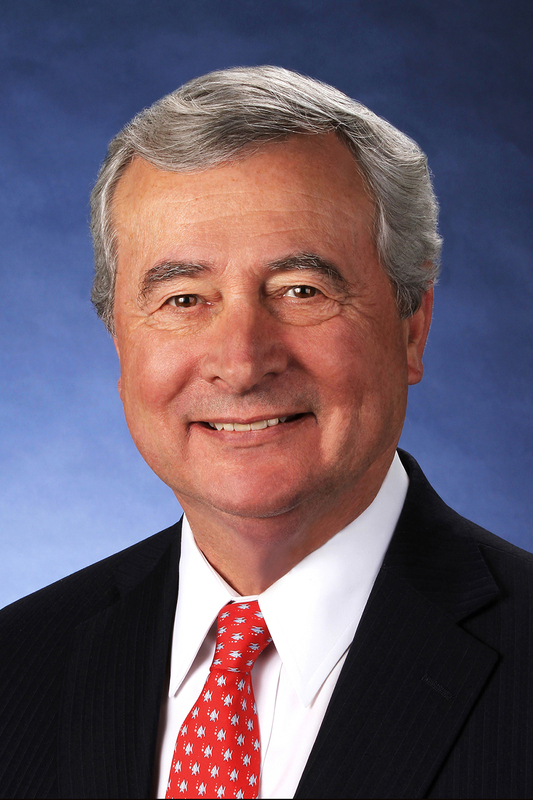 “Tony Zeiss led CPCC to national prominence as a leader in workforce development. He has consistently demonstrated wisdom and integrity, and his vision and energy, both for the college and for our community, have left an indelible mark,” Pitts said. Zeiss is past chair of the Board of the American Association of Community Colleges, past board chair for the League for Innovation, and was the Association of Community College Trustees’ National CEO of the year for 2004-2005. He serves on several local, regional and national boards, including Leadership NC, the Institute for Emerging Issues, and the Fund for the Improvement of Postsecondary Education (FIPSE). He is the chair of the Trail of History, the Little Sugar Creek Greenway Action Committee, and leads the Charlotte Region Global Initiative. He frequently serves as a workgroup member for the U.S. Department of Education and the U.S. Department of Labor. Zeiss is the recipient of the 2012 Whitney M. Young Humanitarian Award presented by the Urban League in March 2012; the 2012 Jack Callaghan Cornerstone Award presented by Goodwill Industries of the Southern Piedmont; the 2012 UNC Charlotte Distinguished Service Award; and the 2012 National Leadership Award from the National Council for Continuing Education and Training (NCCET). Zeiss and his wife, Beth, have two sons, a daughter-in-law, and two grandchildren. Get Connected! Download the CPCC App Today! Get Connected! The CPCC App is now available. Visit your App Store to download the CPCC App. Search for either CPCC or Central Piedmont Community College. It’s the Last Week to Prepare for the CPCC Career Fair! 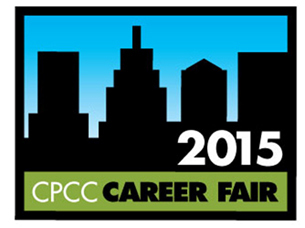 It’s the last week to get ready for the CPCC Career Fair! The event takes place next Thursday, March 5 from 10 a.m. until 2:30 p.m. at the Grady Cole Center (next to the Central Campus). Recruiters are eager to talk to CPCC students about full-time, part-time and internship positions with their companies. Watch this video segment (5 tips in 5 minutes) from Dr. Connie Johnston, a CPCC career counselor. Take a look at the Career Services weekly blog posts that give helpful career fair hints. Learn about the companies recruiting your programs. Check out Career Services on Pinterest, where you can find even more career fair resources, including our board that highlights all attending companies. Email your resume to Career Services to have it reviewed by a career counselor. professional dress is required for admittance. to bring your CPCC Student ID to gain access through the VIP entrance. to have multiple copies of your resume to give to recruiters you talk to. Learning about job openings and getting the chance to talk to employers face-to-face is one of the toughest steps in a job search. The career fair takes care of both tasks in one day. Don’t miss out on this prime job search event! CPCC has added an Instagram account – @cpccsocial – to its host of social media channels. Instagram is a popular social media service that allows users to take photos and videos with a mobile phone, apply a filter to transform the image, and then share with others. The free app is available for both iPhone and Android. Administered by the college’s Community Relations and Marketing Services Department, the college’s Instagram account will feature a wide-array of CPCC-related pictures and videos, ranging from campus beauty shots to videos of student events and activities. Start following @CPCC today at www.instagram.com/cpccsocial and be sure to use #cpcc to ensure your photos are shared with the college’s followers on our new site! Interested in submitting a photo or don’t have an Instagram account? Email your images to socialmedia@cpcc.edu for inclusion. Early voting locations open in Mecklenburg County on Thursday, Oct. 23. This year, the Facilities Services Building at Central Campus, 1325 East 7th Street, is an early voting site. Weekday and weekend hours are offered. Here is the early voting schedule. Thurs., Oct. 23 and Fri., Oct. 24 8 a.m. to 7 p.m. Sat., Oct. 25 10 a.m. to 1 p.m. Sun., Oct. 26 1 to 4 p.m. Mon., Oct 27 to Fri., Oct. 31 8 a.m. to 7 p.m. Sat., Nov. 1 10 a.m. to 1 p.m. Remember, this year’s Mecklenburg County ballot will include a sales tax referendum. The Mecklenburg Board of County Commissioners voted to put a proposal for a quarter-cent (1/4 of a penny) sales tax increase on the 2014 elections ballot. If voters approve the measure, it will generate approximately $35 million a year in additional revenue for Mecklenburg County. County commissioners will direct 80 percent of the revenue generated by the sales tax increase to Charlotte-Mecklenburg Schools, 7.5 percent to Central Piedmont Community College, 7.5 percent to the Arts & Science Council, and 5 percent to the county’s public libraries. This would bring approximately $2.7 million a year to CPCC in additional funding. The college will use the extra funds to enhance the salaries of faculty and staff members and add positions in areas of need, such as academic counselors. This significant increase in county funding will strengthen CPCC’s ability to hire and retain the best faculty and staff members, helping the college serve its students and the community even better. In addition to the CPCC’s Central Campus, there are 20 other early voting sites in Mecklenburg County. 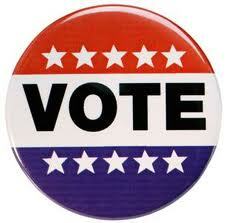 See the Board of Elections website – http://www.ncsbe.gov/webapps/os_sites/OSVotingSiteList.aspx?County=MECKLENBURG&Election=11/04/2014 – for locations and hours of operation. The Community Blood Center of the Carolinas (CBCC) returns to Central Piedmont Community College for their fall Blood Drive. It’s on Thursday, November 6 from 10 a.m. until 2 p.m. in the Overcash driveway. CBCC goal is to support patients at our local hospitals. You can help save lives just by giving blood. To sign up, please click http://www.ncdonor.com/index.cfm?group=op&step=2&opid=40753. To donate, you are required to be at least 120 lbs. and have a full stomach. Plus, presenting donors will receive FREE T-shirts and be added to a raffle to win FREE CPCC merchandise! Reminder! Tuesday, Nov. 5 is Election Day. Be sure to exercise your right to vote! Look for the CPCC Bond Referendum on the Mecklenburg County ballot. For more information about the CPCC bonds, visit www.cpcc.edu/bonds. Overcash Building on Central Campus will be open for scheduled classes and performances only. Belk Building will be open for scheduled classes only. Culinary Arts Center will be open for scheduled classes and events only. Pease Auditorium will be open for performances and events only. The scene shop in the Center for Arts Technology Building on Central Campus will be open for the summer theatre build only. Harper Campus will be open for scheduled classes only. Hendrick Center on Levine Campus will be open for scheduled classes only. Harris Conference Center will open for scheduled events only. 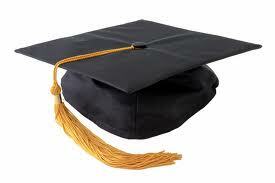 All of your hard work has finally paid off and we would like to congratulate you on your graduation. We wish you much success in you new career or on your continued education path. Thank you for choosing Central Piedmont Community College and for letting us help you accomplish your personal and professional goals! CPCC’s Horticulture Department invites the community to this special event that will include a tree planting and bench dedication on the campus’s grounds. Following the event, the campus will host a barbeque lunch for attendees to enjoy. WHEN: April 26, 11 a.m.
Sensoria is CPCC’s celebration of the arts. Enjoy a variety of performances, exhibits, speakers and events to celebrate art in all its forms. Make plans to attend a performance by CPCC Theatre or CPCC Opera, listen to New York Times bestselling author Ron Rash or international poet Li-Young Lee, sing along with the Tosco Music Party or be enthralled by the Bechtler on Campus. New this year is Sensoria Nights, showcasing a special, highlighted event each evening. For more information, visit sensoria.cpcc.edu or download the app to find out what’s happening each day. COST: Most events are free, ticketed performance information and pricing may be found at tix.cpcc.edu. Visit sensoria.cpcc.edu for a full schedule of events. WHEN: April 30, 2:30 p.m.
Join us at the campus’s front entrance for this special dedication event that will honor and celebrate the many departed individuals who have contributed to the success of Harper Campus since its founding in 1999. Join us on our back patio for a special ribbon-cutting ceremony and garden celebration, sponsored by the Early Childhood Education Division and Friendship Gardens. As a special treat, attendees can help name the new garden. WHEN: April 16, 1 p.m. Invite your friends and family as we celebrate the college’s 50th anniversary with a Disc Golf Tournament. Organizers will be on hand to teach the sport to those who’ve never played. 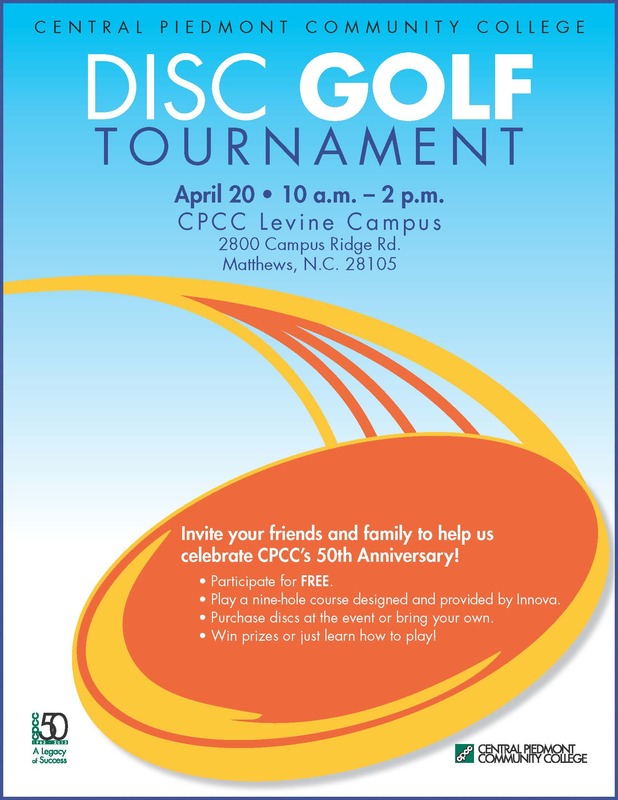 You’ll have the opportunity to purchase a commemorative 50th anniversary gold disc; play our nine-hole course, designed and provided by Innova; and win a variety of prizes. WHEN: April 20, 10 a.m. – 2 p.m. Featuring cars from the last 50+ years with 20 different car class competitions and winners awarded for each class. The family friendly event features a live band, food, demonstrations of car safety tips, interior dyeing of car fabric, special paint finishes, hybrid vehicles, Carolina CAT construction equipment, and Public Safety awareness information including free service of DNA cards of children for parents. WHEN: April 20, 8 a.m. – 5 p.m.
All events are open to the public. For more information, local residents may visit www.cpcc.edu/50years. The colors of the flag are yellow for the diversity in the country, blue for the sky and the sea, and red for the blood of those who fought for independence. Ecuador exports 4.5 million tons of bananas a year. The Ecuadorian tradition is that in the New Year, they make dummy that is stuffed with old clothing and then is burned to celebrate the ending of the old year and the coming of the New Year. The main ethnic groups in Ecuador include Mestizo, Amerindian, Spanish and Blacks. The term Ecuador means equator in Spanish. The country has been named after equator, which passes through it. 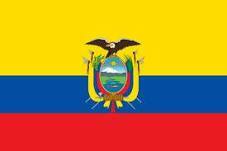 Ecuador was a part of the Inca Empire, before the arrival of the Spanish, in 1534. Novenas, or house tours, begin the Christmas season nine days before Christmas. Ecuadorians visit other homes at this time looking at the nativity scenes. A special cookie, made with maple syrup, is eaten as a treat. Please note that all CPCC campuses will be closed for the holidays December 19 – January 1. All CPCC campus locations will resume normal operating hours on Wednesday, January 2. During this period, you can still register for classes at www.cpcc.edu. We wish you a happy holiday and look forward to serving you in the new year. Haven’t decided on your major here at CPCC? We invite you to join us at Open House on Thursday, Nov. 1 in the TA Building on Central Campus! Drop in anytime between 4 and 7:30 p.m. to speak with CPCC’s division directors and program chairs. You can also learn more about student services and how they benefit you as a current student. Come on by, grab refreshments and meet with our faculty and staff to get all your questions answered. For more details and to RSVP go to www.cpcc.edu/go/openhouse or email outreach@cpcc.edu. We can’t wait to see you there!